My name is Nicole Elder-Kopp. I live in Fort Saskatchewan, Alberta. (Tina-Mom, Derek (Step dad), Michael-Dad, Grace (Step mom), sibling Danny, Liam and Kurt). I have offered to assist Kadence and her family raise funds for a companion dog (Golden Retrovir). This is the only thing Kadence has requested is a Golden Retrovir to help her emotionally fight Cancer. We have been advised it cost alot for training a dog (approximately $20,000.00++) so we are asking for money to help support Kadence get a Golden Retrovir trained therapy/Service-Companion dog. We would like to get as close to our goal as possible to make this one wish come true. Once we have sufficient funds the money will be withdrawn and given to Kadence's mom Tina. Kadence is a beautiful 13 year old who was was recently diagnosed with stage four cancer. 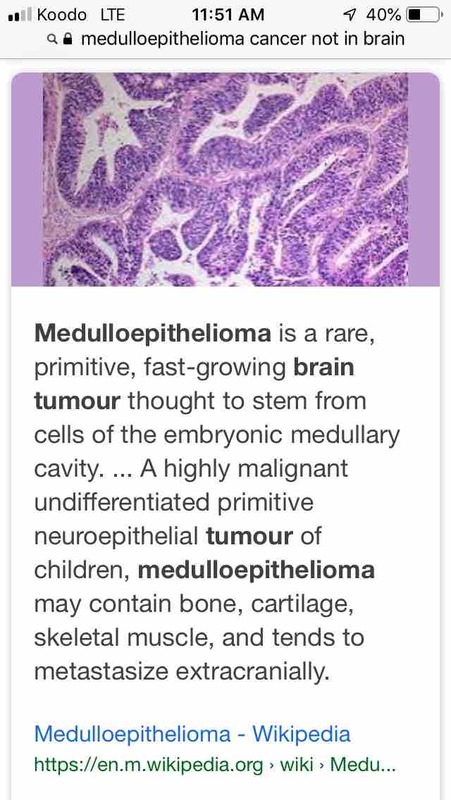 The type of Cancer she has been diagnosed with is a rare cancer called Medulloepithelioma. This is typically found in the Brain linked to the eye, but in even more rare cases like Kadence’s case it was found in the pelvic area. Kadence is a special young lady. She has been so brave since her diagnosis. She is kind, caring and her heart is full of love for her family and friends.Her one wish is to have a dog to help her emotional needs since her ADHD medication is not working with her treatment plan. Her anxiety is heighten from the chemo medication. If you've ever owned or spent time with a friendly dog, you probably know puppy love can calm anxiety and lift your mood.You often see canines at cancercenters. Therapy dogs can bring comfort to people being treated for cancer, and they may help them get better, too. What are therapy dogs? They're specially trained animals who visit with adults and children in the hospital to help them feel better both emotionally and physically. Most of these dogs live at home with their owners and make routine visits to cancer facilities. The visits usually last less than 2 hours, and the animals typically stay with each person for about 15 or 20 minutes. Dogs can go to rooms, treatment areas like chemotherapy suites, and lounges or group areas.Sessions look a lot like play. A visit can involve hugging, petting, or talking to the dog. Some people read to the pup, play with it, or even walk it.What are the benefits?Cancer diagnoses and treatments are stressful. Studies show that spending time with a therapy dog lowers blood pressure and levels of the "stress hormone" cortisol. At the same time, it boosts levels of feel-good hormones. Therapy dogs may help lessen pain, too. 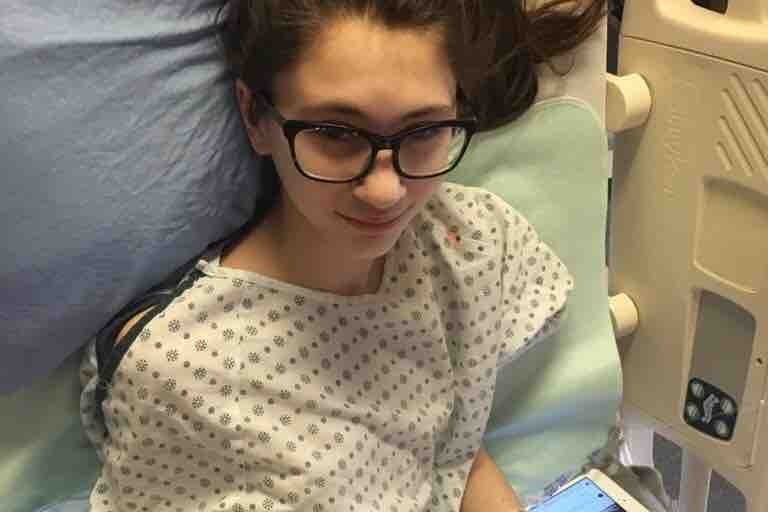 They might trigger the release of endorphins, which ease discomfort.On behalf of Kadence and her family please help us raise some money to help this special Angel's dream come true. Thank you everyone for your ongoing support to our daughter Kadence, it filled our hearts with how fast we reached $16,000. Many within our Morinville community have started bottle drives, 50/50 raffles, dropped off donations, sent gift cards, dropped off pre-made food and gifts, my employer set up cleaning services after each chemo treatment, George H Primeau School has been so supportive, our friends, family and Military family have worked so hard at sharing this page to get to our goal. BRAVO & OUTSTANDING! Our family is so grateful for all your love and support, you are all truly amazing humans! April is Military Brat month and Kadence perseverance embodies strength! Thanks to our Military for showcasing her fight with cancer and all those who donated on the GoFundMe account. Kadence has a rare type of cancer called Medulloepithelioma. This type of cancer is found in the brain but with Kadence it is not in her brain, instead she has a large pelvic mass extending to the right gluteus. There is not much information on this type of cancer as it is rare. It is a fast growing cancer and would have only started 2-3 months before the symptoms started.